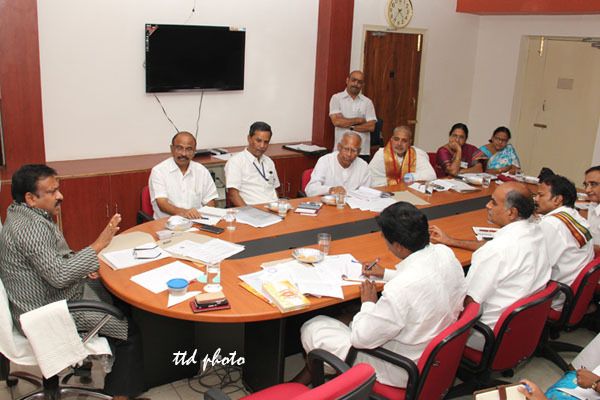 Tirupati, 20 September 2014: The temple management of Tirumala Tirupati Devasthanams(TTDs) has constituted committees to enhance the quality of its publications and take up wide publicity at all levels of the society said Tirupati JEO Sri P Bhaskar. 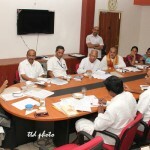 Addressing the publications committee review meeting at his chambers in Tirupati Administrative building on Saturday evening, the Tirupati JEO Sri P Bhaskar said, apart from the existing committee, separate committees have been constituted to monitor the quality of content in the respective languages of Telugu, Tamil, Kannada, Hindi, Sanskrit and English. The Public Relations Officer is the convener in the Publications Monitoring Committee along with six other members and other committees includes Press Technology, Academic and Sales Sub committees. 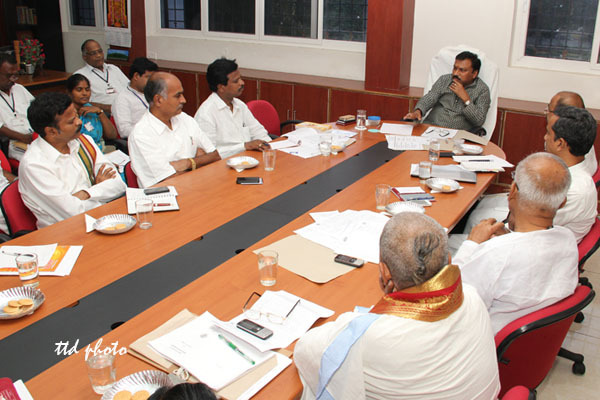 JEO directed the officials concerned to take up market survey in order to popularize TTD publications. “The spiritual libraries should be opened up in Vijayawada, Vizag and Rajamundry before December”, he added. “Apart from organizing Sri Venkateswara Vaibhavotsavams in each district, four TTD publications expo should also be organized to popularize our publications”, he maintained. The JEO further said, a meeting should be convened with nation wide best sellers of publications to enhance the sale. “TTD publications should be made available even to the remote areas through mobile libraries. 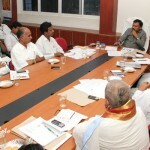 You should speed up the process of e-Publications”, he instructed the concerned officials. TTD CE Sri Chandra Sekhar Reddy, SE I Sri Sudhakar Rao, SE III Sri Ramachandra Reddy, TTD PRO Sri T Ravi, HDPP Special Officer Sri Raghunath, GM Transport Sri Sesha Reddy were also present.